I've had the pleasure to experience over a dozen role playing game systems over the past three years. Most of these RPGs I have played, while some I've only read the rules on and I've started to notice a trend in the hobby, which a lot of people are already familiar with. This is the swinging pendulum of crunch. New games on the market trend with the swing of this pendulum. On one side of the pendulum we have rules heavy games and systems, and on the other we have extremely rules light. At the moment, I feel like we're on the up swing to the extremely rules light end of the pendulum, and this can be evident in what is hitting the table more and more these days. Some of these rules light games I've read through include games like Questlandia and Fiasco. Both of these games focus so much on the role playing aspect of RPGs, that I sometimes wonder why they even bother coming with a book. Just through reading these rule books it got me thinking, I believe the game part of RPG is very important. RPGs take aspects from two different mediums and slams them together into these books which we gather around for fun. Role playing on its own can be compared to acting or improv, which people take on characters and tell stories. Games are everywhere, they're essentially a contest with a distinct set of rules. Combining these two mediums into one we end up with essentially story telling with a set of rules, and I believe that having a good set of rules for a game is important. When it comes to rules light games, it sometimes feels like the rules were just thrown in there to make it a "game". Games like Fiasco and Questlandia feel like they have just as much depth in rules as Rory's Story Cubes. 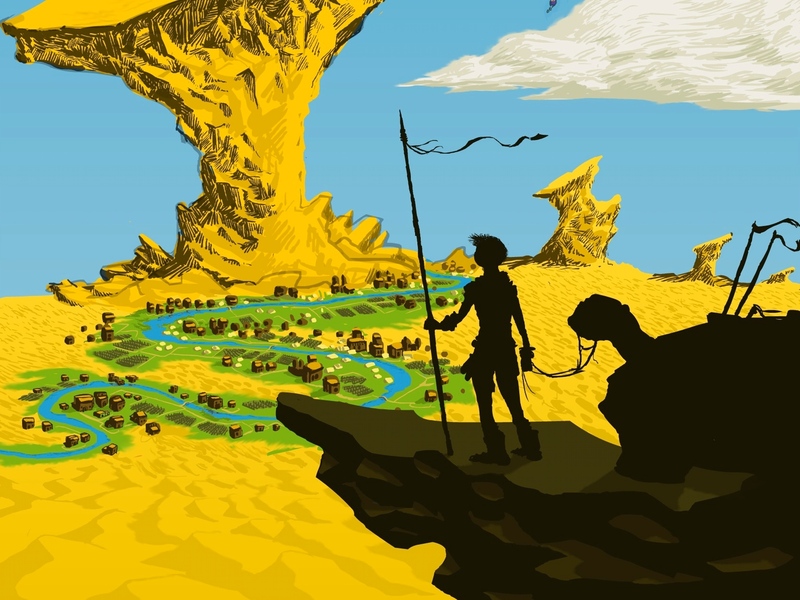 The rules in an RPG serve two major purposes. They provide a framework that is (hopefully) balanced and equal for all players. They also provide an element of uncertainty. Any board game typically comes with a solid set of rules to use and it can come natural to role players to build a story out of actions that are taken during the game. These rules make the story interesting and unpredictable, throwing in complications that characters need to deal with in order to proceed. This may come natural to the theater and literary majors out there, but for everyone else, we need a little help. Part of this uncertainty has to be balanced though. Unbalanced rules lead to a narrative funnel, where all of the cool actions happen to a single player and everyone else feeling useless. Dice are a great randomizer and also very good for balancing if used properly, which is why we see so many games with dice. While the weight of the rules and mechanisms for a game don't necessarily matter, the way that the rules integrate with the theme do. This is why it is easier for us to tack on a story to a board game than to tack rules on to an improv session. The rules need to facilitate the story, keeping the players immersed and engaged. Typically this is done via a good/bad traits mechanic. There are things your character is better and worse at than other people at the table (skills, aspects, traits, etc.). It's very simple, and is usually implemented unconsciously in normal story telling. Without a good set of rules for an RPG it can feel like you're just sitting around a table making up a story. 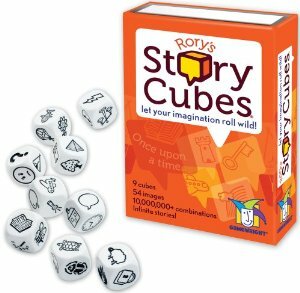 While I'm not calling this a bad thing (I like Rory's Story Cubes very much), I wouldn't call it a game either. Questlandia and Fiasco offer very few rules and focus mainly on the story telling. I like to view these games as an assisted story telling exercise. Ultimately, when I play an RPG I really want solid mechanisms behind it.